How much is Susan Walters Worth? 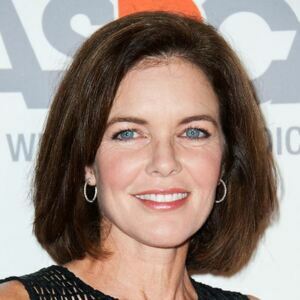 Susan Walters net worth: Susan Walters is an American actress and model who has a net worth of $4 million. Susan Walters was born in Atlanta, Georgia in September 1963. As an actress she starred as Ryan Thomas on the television series Hotel from 1987 to 1988. In 1989 she starred as Bridget Loring on the TV series Nightingales. Walters starred as Mary Beth Sutton on the series Dear John from 1990 to 1992. From 1996 to 1997 she starred as Anne Osborne on the television series The Big Easy. Susan Walters starred as Lili Smith on the TV series The War Next Door. From 2005 to 2006 she starred as Meg Kramer on the series Point Pleasant. From 2001 to 2010 she starred as Diane Jenkins on the soap opera The Young and the Restless. Walters starred as Carol Lockwood on the television series The Vampire Diaries from 2009 to 2013. She starred as Natalie Martin on the TV series Teen Wolf from 2011 to 2017. She married Linden Ashby in 1986.